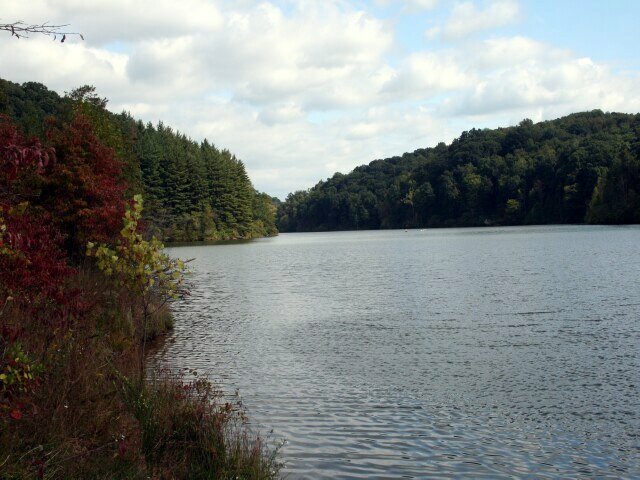 Acres of uninterrupted hardwood forest sprawl over the many hills and coves of Strouds Run State Park. The rugged terrain and scenic lake provide visitors a unique wilderness escape in southeastern Ohio. Strouds Run State Park is located in the scenic forested hills of Athens County, in the midst of the unglaciated Appalachian Plateau. 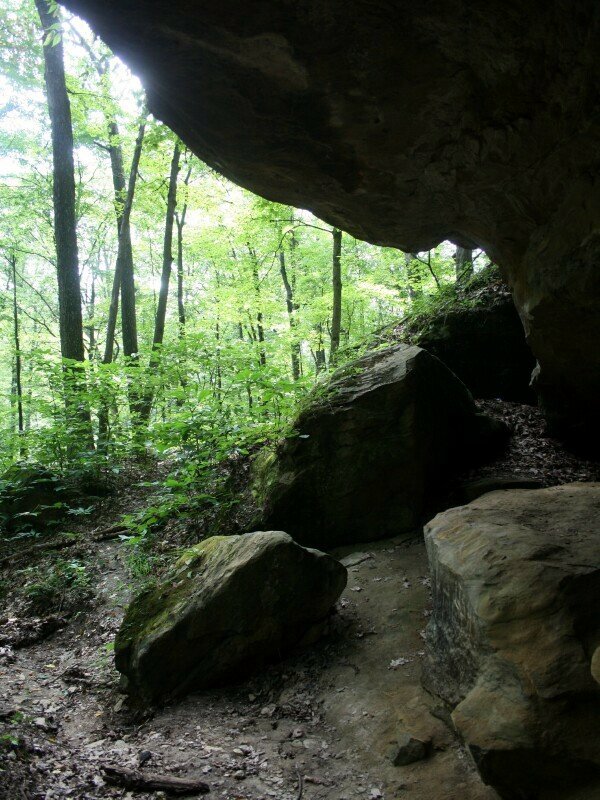 Although untouched by the vast ice sheets that moved across portions of the state over 12,000 years ago, the effects of the glaciers can be seen today in the deep ravines and high hills of Strouds Run. Stream valleys served as outlets for torrents of glacial meltwaters. 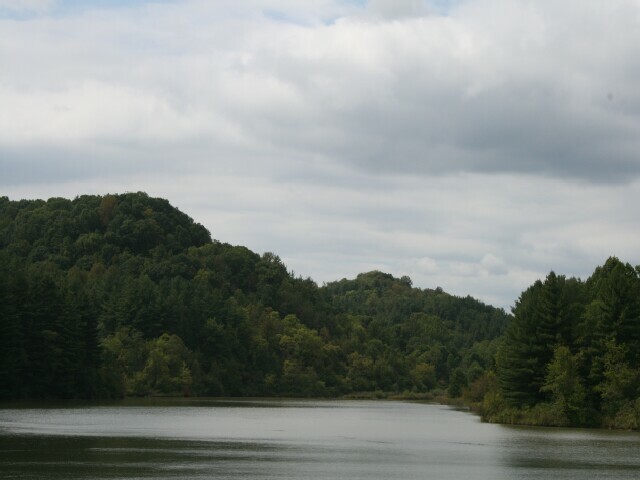 The erosion power of these waters began carving valleys and hillsides into the familiar topography Ohioans know today. Large deposits of glacial outwash, primarily sand and gravel, were deposited along these streams and strongly affected the type of biological communities present today at the park. Sandstone, the principal bedrock outcropping in the region, is very resistant to erosion and forms the uplands and steep sides of the valleys. Twisting roads and forest trails pass through these deep ravines and lead to dense stands of beech, hickory, oak, maple and tuliptree. Seasonal displays are offered by flowering dogwood, redbud and spring wildflowers--with fall presenting a pageant of colorful foliage. 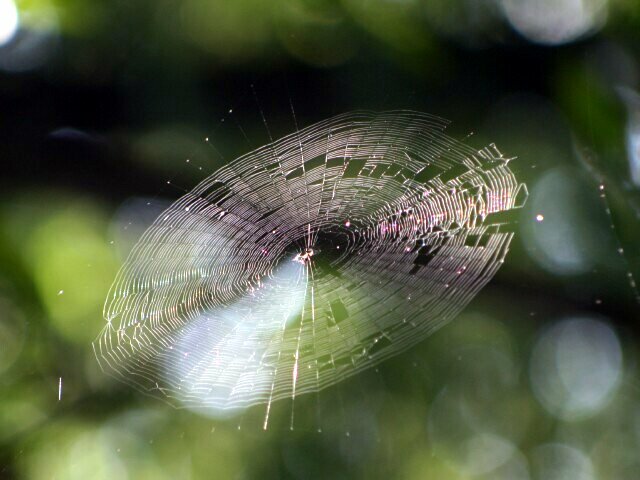 These woods are home to white-tailed deer, fox, raccoon, opossum, squirrel, wild turkey and a variety of songbirds. Woodthrush, white-breasted nuthatch, scarlet tanager, pileated woodpecker and the rufous-sided towhee inhabit the forest canopy. These rugged hills and woodlands are truly reminiscent of the wilderness that characterized the Ohio country in the days of early settlers. The first settlers arrived in the Athens County region in 1796. Two townships of land in the area had been apportioned by the Ohio Company in 1795 for the benefit of a university. Settlers were encouraged to settle on these college lands so as to make them attractive, productive and to form a fund for the institution. This venture led to the founding of the town of Athens and Ohio University, the first college in the Northwest Territory. Settlers came by way of flatboats from Marietta down the Ohio and up the Hocking River to an attractive bluff where the town of Athens is now located. With the discovery of rich coal fields in the area, Athens County soon developed into one of the leading coal producers in the state. The Hocking Canal and railroads provided easy means for shipping coal to distant markets. Clay tile, brick and salt were other industries that brought prosperity to the area. The park derives its name from the Strouds family who settled in the area in the early 1800s. The land was purchased by the state for forest conservation purposes from 1948 to 1953. The dam creating Dow Lake was completed in 1960. The lake bears the name of C.L. Dow of Ohio University who was instrumental in initiating the project. Strouds Run offers campers a family camp area with sites for tents or trailers. Latrines, waste drains, picnic tables and fire rings are provided. Ten sites are available for campers with pets. A group camp area is available for organized groups on a reservation basis. Three Rent-A-Camp sites consisting of a dining fly, sleeping cots and pads, cookstove and other gear are available by reservation. A 900-foot sand beach on the east side of the lake is open during the summer months from sunrise to sunset. Change booths, drinking water and restrooms are available. Scuba diving with proper equipment is permitted. Diving alone and within the beach area is prohibited. Picnic tables and cooking grates are located at the north end of the lake and south of the dam. Each area has restrooms nearby. Three shelterhouses, located at the north end of the lake, are available on a first-come, first-served basis. Shelterhouses may also be reserved for a fee. Fifteen miles of hiking trails meander through the wooded hills of Strouds Run leading to scenic vistas throughout the park. Excellent birdwatching and nature study can be done along the trail. An 8-1/2 mile bridle trail has been constructed by volunteers from the Ohio Horseman's Council, Athens County Chapter, working under the Adopt-A-Trail program. The trail can be accessed from the parking lot off Township Road 21 and at locations along County Road 20. The nearby town of Athens is the home of Ohio University. Tours of the university campus can be arranged by contacting the admissions office. The Anthony G. Trisolini Gallery, located on campus, houses fine art exhibits in an early Athens mansion. 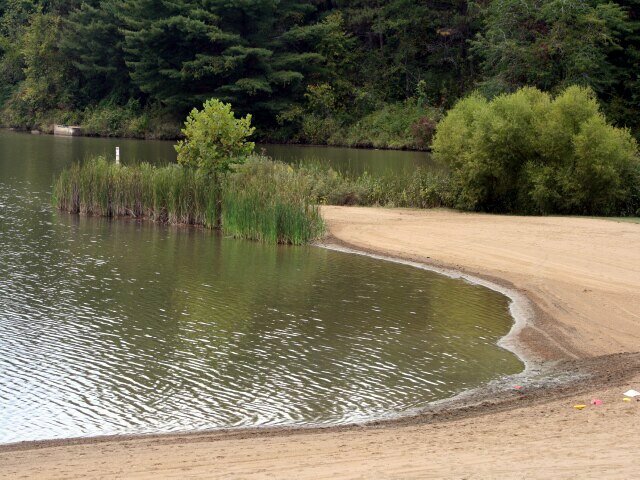 Lake Hope, Hocking Hills and Burr Oak state parks are within a short driving distance offering camping, lodge, cabins, fishing and swimming. Marie J. Desonier State Nature Preserve is located near Coolville. This preserve is heavily forested and contains a large variety of ferns, wildflowers and songbirds. 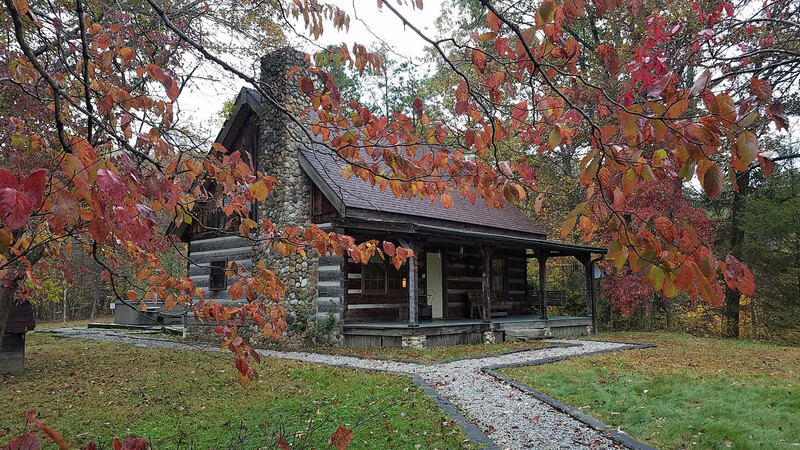 Portions of Wayne National Forest are scattered through the county offering hiking, hunting and other forest related recreation.